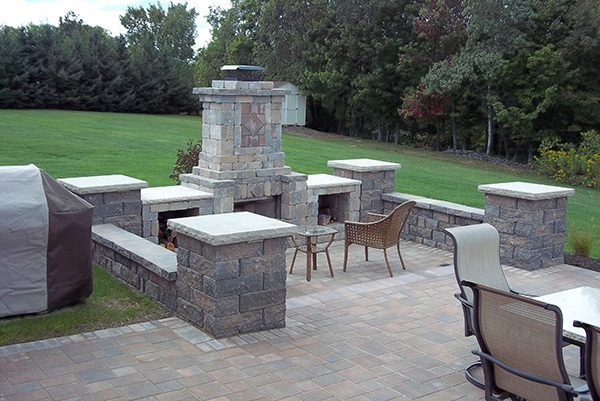 Since 1984, Northern Scapes Inc. has consistently grown into one of the largest full service landscape companies in the Southern Tier of New York. We work within your budget to design a unique landscape plan to your specifications. Our design and installation contract protects your investment with our one year guarantee on plant material and workmanship and a five year guarantee on our retaining walls and pavers for our residential customers. 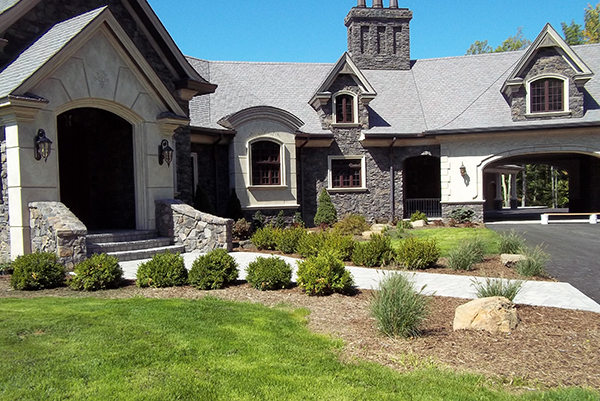 After the design and budget have been set, our experienced professionals will install your landscaping with the same attention to detail that our customers have come to expect from our company. 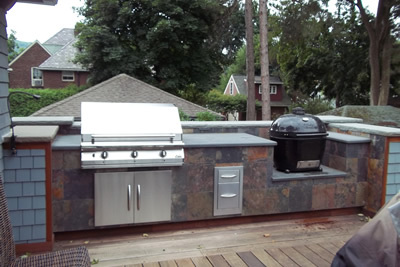 Our company not only caters to the residential and small commercial projects, but the larger projects as well. Many of the largest retaining wall systems throughout the Southern Tier and as far as Bath, NY have been installed by Northern Scapes. Northern Scapes has been responsible for the installation of the modular block wall systems at three Weis Market Plazas with the largest located at the Rano Blvd. plaza in Vestal, NY. Others include the walls throughout the Good Shepherd Facility in Endwell and Vestal Dialysis on Jenson Road in Vestal. We also designed and installed the water feature at the Saturn/Cadillac car dealership in Vestal, NY. 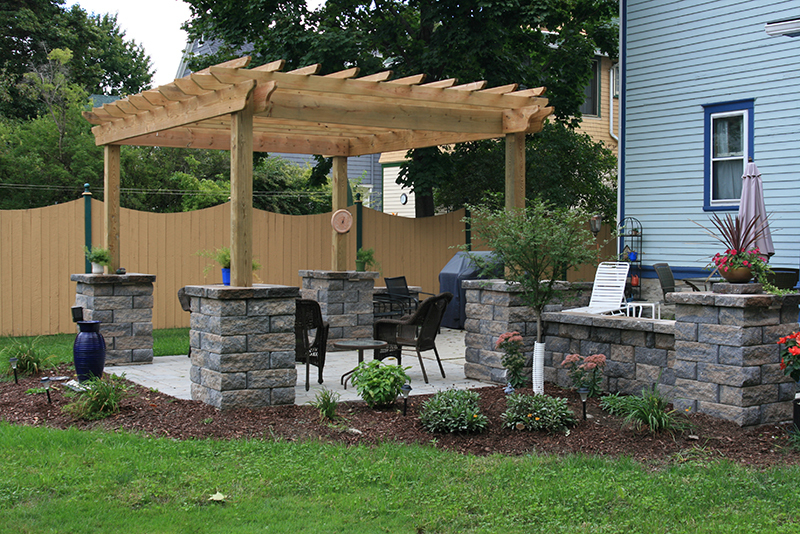 We also complete projects on a regular basis around the Finger Lakes and small lakes in North East Pennsylvania. 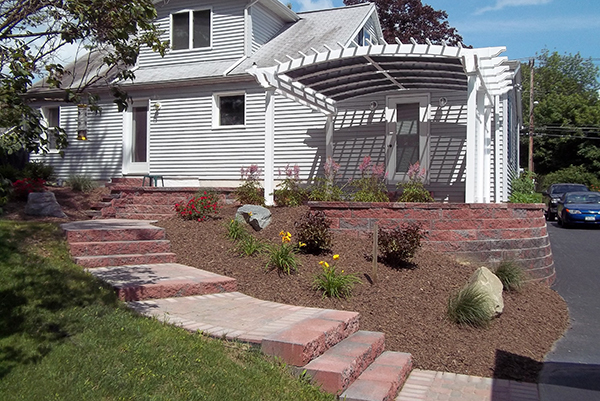 If you have a cottage or waterfront property and are looking for a new look, an improved retaining wall, or maybe a durable pavers that will hold up to the waterfront environment, contact us today to discuss your project. Our service area is 200 miles from Greater Binghamton.